From the pages of Dengeki G magazine to a hit anime series with two seasons and a feature-length film and now, the girls from μ's are back on an iOS and Android mobile game called School Idol Festival. 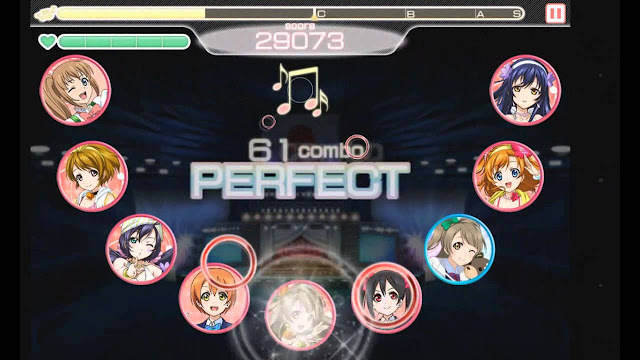 Naturally, it’s a rhythm game featuring the many songs produced throughout the five years since the Love Live project was conceived. But the game isn’t as simple as DJ Max or its many clones out there. KLab and Bushiroad have added a whole host of features to the free-to-play game to ensure that once you start, you probably won’t stop and if you’re a Love Live fan, you may even end up setting alarms through the night during special in-game events. The actual gameplay is easy enough to understand, think Tap Tap Revenge, with nine circles instead of four or five. The aim is the same as with every other rhythm game. Try to attain the highest score and longest combo chain possible in a song. Throwing a wrench in your plans would be the girls themselves. Each of the nine circles are filled with an idol group member, be it the girls from μ's or any of the original characters created by Bushiroad. For players who have watched the anime, you may be glad to know that the members of A-RISE may eventually be included in your team, with a playable song being introduced to the Japanese version recently. Love Live! School Idol Festival requires players to have a strategic mind along with fast fingers and a sense of rhythm. The former is arguably more important as you’ll need to form the best teams with whatever cards (think group members) you have. Each card has a main attribute, be it Smile (Red), Pure (Green) or Cool (Blue) and that particular stat will be the highest among the three. Even songs have a main attribute. For example, Wonderful Rush is a Cool song, so you would want a team filled with Cool members to tackle it in order to gain the highest score possible. If this still sounds like Greek to you, don’t worry, actually playing through the game will have you learning the ropes much faster. If you’re a collector at heart, you’re in luck. 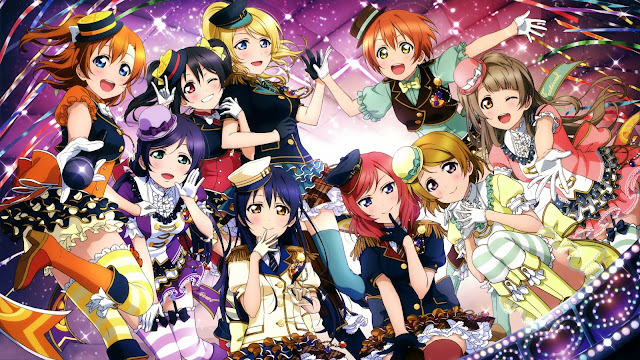 New cards are released regularly and depict the μ's members in various settings and outfits, be it from the various live performances they held through the course of the anime or from the many singles group has. Like any free-to-play game, there’s an incentive for players to spend actual money. You need the game’s premium currency called love gems (loveca stones if you’re trawling through various forums, the Reddit page or happen to be playing the Japanese version) and it costs S$1.28 for 1 and S$38.98 for 50. They can be used to expand the limit on how many team members you can have in total, to replenish your energy (the game calls it Life Points), to continue playing a song after you’ve failed it midway or to ‘scout’ for Rare, Super Rare and Ultra Rare cards. A card’s rarity isn’t solely for its aesthetic value, they serve a practical purpose too, with most Ultra Rare cards having the best stats in the game. 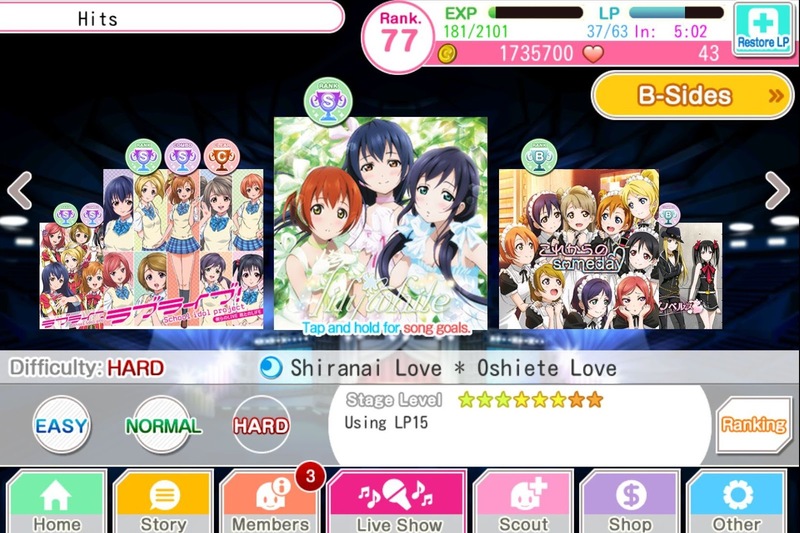 To sweeten the deal, if you’re scouting for players in bulk by spending 50 love gems/loveca stones, you gain an additional one other than the ten you’ll be getting normally. This encourages players to save up; as the game rewards you with love gems/loveca stones for completing various tasks or to splash the cash. The Japanese version introduces an easier way to gain the rarer cards in the game but I’m getting ahead of myself at this point. If you’re a fan of rhythm games, Love Live or both, do try School Idol Festival out. Who knows, you might just end up squealing over that Ultra Rare card you got and bragging about it on the School Idol Festival subreddit. 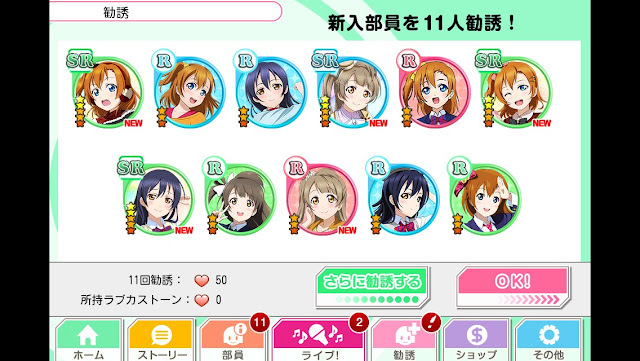 No Comment to " Love Live! School Idol Festival "